Cambodia’s Supreme Court has dissolved the country’s main opposition party over claims of plotting a coup attempt. Prime Minister Hun Sen – an ex-Khmer Rouge commander described by critics as authoritarian and increasingly oppressive – now looks set to extend more than three decades in power in elections next year. There was heavy security outside the court, with police and soldiers keeping people away. Government lawyer Ky Tech confirmed the verdict to the waiting media. 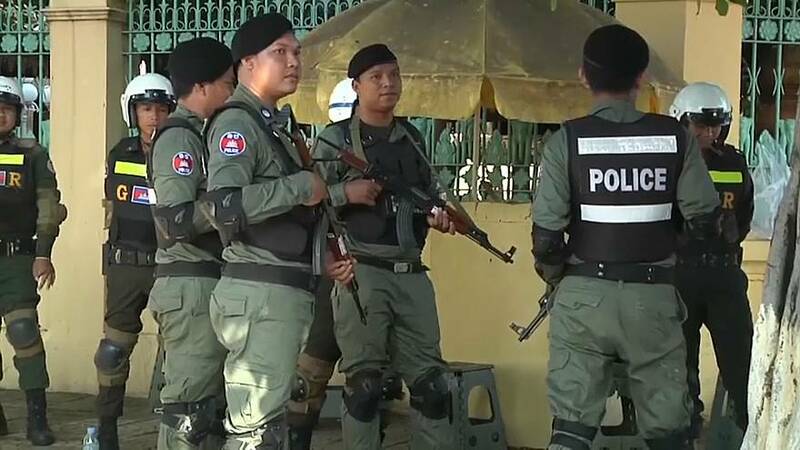 He added that 118 members of the opposition Cambodia National Rescue Party are banned from any political activity for five years and no appeal is possible. But the opposition party’s deputy, who is among more than 20 opposition members who have fled the country, said from London that the fight is not over. The party denies the claims against it. Current leader Kem Sokha has been in jail since September, charged with treason. The head of the panel of judges that dissolved the opposition is a senior member of the ruling party.